Royal Rangers is a church-based mentoring ministry for future men. Since its inception in 1962, millions of boys in the United States and around the world have been guided through the ministry. Today, they are successful businessmen, public servants, pastors, church leaders, missionaries, etc. Royal Rangers operates in all 50 United States and over 90 countries around the globe. How is Royal Rangers Structured? 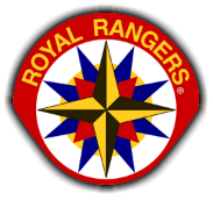 At each corresponding level there is a Director or Coordinator who is responsible for certain aspects of Royal Rangers. The majority of a boys time is spent at the Local Outpost level; however events at the Section, District, Region, or National Level provide boys with an opportunity to network with other like-minded boys, and give them a big picture view of what Royal Rangers is all about. The predominant meeting place for Royal Rangers occurs within churches many of them likely within your community. The majority of our outposts operate in churches that are members of the Assemblies of God USA; however the National Assemblies of God provide an application for interested parties who may not be members of the Assemblies of God. 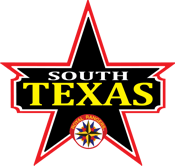 For more information on starting an outpost, contact us by email at info@stxroyalrangers.com. Typically outposts meetings occur on Wednesday or Sunday evenings during regular church services; however, each Outpost has the ability to set their own meeting dates and times. Royal Rangers does not have to be a 1 day per week activity, but it can be. What do Royal Rangers Uniforms look like? Uniforms play an important role in Royal Rangers and serve as one of the primary methods we employ to accomplish the objectives of our program. Royal Rangers groups have the flexibility of choosing from a variety of different options when selecting a uniform. This flexibility enables the group to select a uniform that best suits the unique needs and interests of their group. The meeting or event at which they are worn determines the level of formality. How can I find an outpost near me? We have published a list of chartered outposts by section that you can find here. Additionally you can use the National Royal Rangers Outpost Locator. You can also send us an email and we can help you locate an outpost near you. Leadership training is most often provided through the Sectional/District training staff. For a more complete picture of Royal Ranger Adult Leader Training, visit the National Royal Rangers Outpost Leader Advancement Levels.